Ian Balina made millions in crypto. Now, he's setting his sights on helping underrepresented groups succeed in tech. When he came to the US at eight years old, he couldn’t have known how success would find him. The main platform that would make his wealth didn’t exist yet. All he knew was that he had loving parents—his mother, a professor who he describes as a “lion mom,” insisted that he would get a PhD—and three siblings, and that Uganda was fading into the distance behind them. “Our friends in Africa were not as fortunate so we couldn’t afford to squander this opportunity,” Balina says. 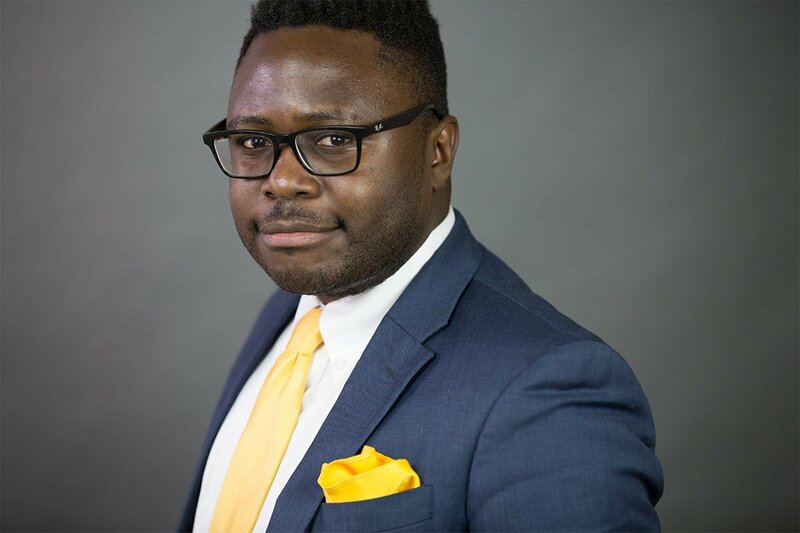 Once he reached his new home in the States, Balina chased down success the old fashioned way: studied hard on merit scholarships, mastered in computer engineering, went on to work for high profile companies like Deloitte and IBM, and founded a number of entrepreneurial side hustles to build financial independence. But it was his early adoption of cryptocurrencies that really struck gold. “In one year,” he adds. Crypto is moving mainstream, but for the uninitiated, Balina says they’re “basically just digital currency, digital forms of sending money, sending value from one person to a different person without having a third party involved.” It sounds simple, but the implications—currency without official regulation—could potentially alter civilization as we know it. Crypto’s underlying technology, called blockchain, is a system of transparent, automatic data tracking that allows transactions to execute with privacy, security, and a certain degree of anonymity. The transactions automatically form an iron-clad ledger, readable by anyone, that can’t be altered. This means that data (including but not limited to cryptocurrencies) can move from person to person without a middle man, or some kind of mediating corporate or governmental body. “The technology is the biggest disruption since the internet itself,” says Balina, who sees crypto as the way of the future. Through his popular YouTube channel, Balina walks his followers through the steps to success as an entrepreneur and a crypto investor. How does one get started on the path to crypto wealth? His first piece of advice echoes that of old schooler Warren Buffett: don’t invest in anything you don’t understand. If you’re interested in crypto, read up on it until you feel comfortable with its underlying principles. Then start with small, experimental investments that you don’t expect a return on. For Balina, the point isn’t just to become king of an empty castle. He’s looking to help pull others up to his economic level. His Crypto World Tour takes him around the globe educating people about smart crypto investment. And he donates a portion of consultingfees he receives from Earn.com to Black Girls Code, a nonprofit dedicated to ramping up representation of women of color in STEM fields, especially computer sciences. For the remainder of 2018 he’s booked across the Middle East and Africa, including a visit back to Uganda. Balina will be speaking in the capital city Kampala, empowering people there to follow a similar path to success. Meanwhile back in his new home in the States, he has a particular interest in raising awareness about the children of Uganda and the unique struggles they face. It’s been a long time since Balina first came to these shores, and he never could’ve known that life here would bring him to the throne of a crypto empire. But because of his outreach and education, we can bet on seeing many more young entrepreneurs and investors rise to meet similar fortunes.